The stratovolcanoes Teide and Pico Viejo are the most recent centres of activity on the volcanic island of Tenerife, which is the largest (2058 km2) and highest (3718 m) island in the Canaries and has a complex volcanic history. The formation of the island and development of the current Teide volcano can be summarised into five stages, as shown in the diagram to the right. 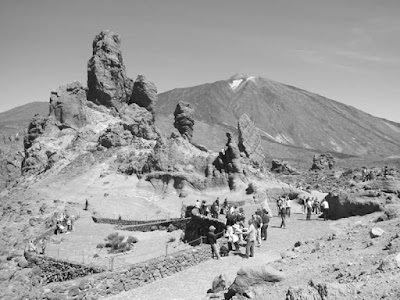 A recent study showed that in the future there will be violent eruptions at Teide also revealed that it has a structure similar to that of Vesuvius and Etna. Similar to the other Canary Islands, and Volcanic Ocean Islands in general, the island of Tenerife was built by accretion of three large shield volcanoes, which developed in a relatively short period of time. 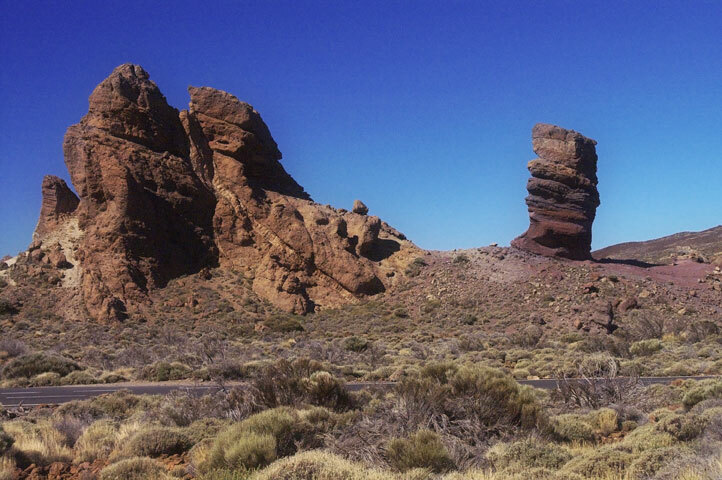 This early shield stage volcanism formed the bulk of the emerged part of Tenerife. The shield volcanoes date back to the Miocene and early Pliocene and are preserved in three isolated and deeply eroded massifs: Anaga (to the NE), Teno (to the NW) and Roque del Conde (to the south). Each individual shield was apparently constructed in less than three million years and the entire island in about eight million years. The initial juvenile stage was followed by a period of 2-3 million years of eruptive quiescence and erosion. 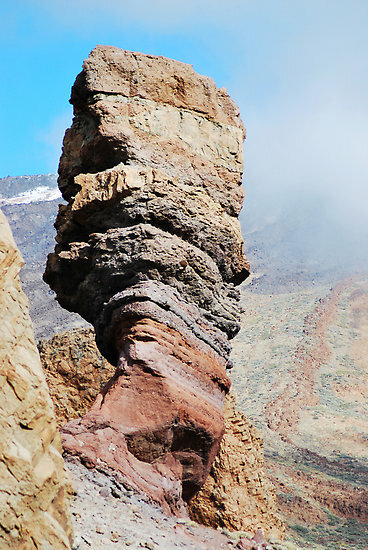 This cessation of activity is typical of the Canaries, for example La Gomera is currently in this erosional stage. After this period of quiescence the volcanic activity became concentrated within two large edifices; the central volcano of Las Cañadas and the Anaga massif. 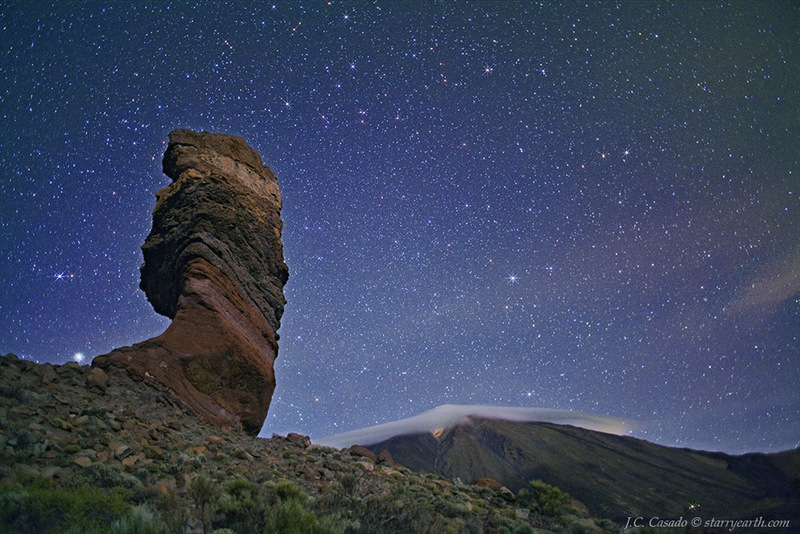 The Las Cañadas volcano developed over the Miocene shield volcanoes and may have reached 40 km in diameter and a height of 4500 m.
Two theories on the formation of the 16 x 9 km caldera exist. The first is that the depression is the result of a vertical collapse of the volcano. The collapse being triggered by the emptying of shallow (at or about sea level) magma chambers under the Las Cañadas volcano after large-volume explosive eruptions. The second theory is that the caldera was formed by a series of lateral gravitational collapses, similar to those described in Hawaii. Evidence for the later theory has been found in both onshore observations and marine geology studies.